A Hat Dress for Genesis Georgian Outfit for use in Daz Studio 4. 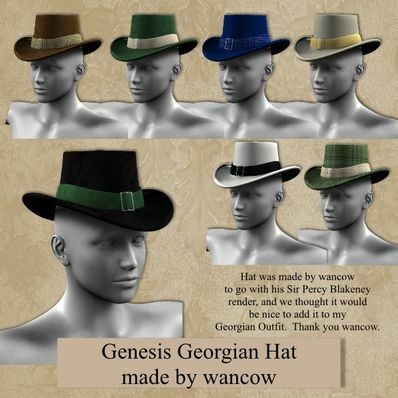 This hat was made by wancow to go with the Georgian Outfit. Several textures for the Hat. Will work with most poses and shapes. awesome and thank you a lot! !